Some people talk about health literacy like it’s something out there. Something that’s big, immutable, remote. I don’t have time for that. And neither do you. Health literacy is real. It’s not new. And it happens nearly everywhere, every day, with everyone. Still, concrete examples of what you can do about health literacy are hard to come by. It can feel like there’s little you can do. But there are things you can do, actions you can take, wherever you are, whatever your role. This month is health literacy month and I’m not messing around here. Let’s get down to it. There are many reasons why it can feel like health literacy is hard to address on a practical level. Health literacy research often relies on large data sets about groups or patient populations. This can make it difficult to drill down for meaningful suggestions at the small group or individual level. In addition to the massive amount of research attention that health literacy has attracted, there’s also global interest, manifesting in the policy realm. Of course, health literacy policies are not the place to turn for concrete suggestions on what you can do today. They’ll tell you what should be done, and to what level, but not how to do it. He then added that the day-to-day activities of the many people who are working in and with health literacy don’t get much attention. This is unfortunate, partly because it can add to the feeling that health literacy is something other people have, or that other people do. Again, health literacy happens almost everywhere, with everyone, every day. And it involves all of us. So no matter where you are in the health sector, or what your role is, here are suggestions for what you can do, right now, about health literacy. 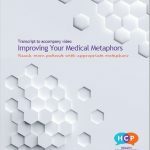 When health literacy burst on the scene, it brought some needed attention to the disconnects between medical language and people’s everyday language. What’s more, conversationally speaking, the patient encounter is not a level playing field. There is an imbalance to be sure. You know this already, and the research bears it out. Yet you can’t help but speak from your own position as a health professional. So, why not explore it? See what’s under the hood, so to speak, of the words you use with patients, clients, or students, everyday? If ‘high’ health literacy is even a thing, health care professionals have it! That’s right: I’m inviting you to increase your awareness of your own health literacy–and what you’re doing with it. Researchers are explicit about the fact that a health literacy assessment score is NOT a proxy for a patient’s education level. But it still gets talked about that way. It can also be easy to focus on a person’s perceived weaknesses, based on what we think is or should be normal, basic, or fundamental. We (sometimes unconsciously) can think that the ways other people do things are problematic. Like, say, the ways patients understand their bodies and act upon health information. So ditch the deficit perspective. Instead, take a resource perspective on your patients. Start where they are, what they are already doing. An important health literacy approach is connecting whatever information you have, to what the person (or community) you are trying to reach already values. The goal becomes expanding and extending what the patient is already doing, in order to help get his or her needs met. This might remind you of patient-centeredness, moving toward seeing the patient as more than a collection of needs and problems. In spite of all the pressures that can lead to seeing them that way. Want more support in doing this? I have it here. This is about interacting with a patient as a whole person, with a full life, and who uses language everyday in very sophisticated ways. It’s is about shifting your starting position. Have (or build) a list of websites and apps you trust. Apps and websites tend to be graphics-heavy. They are also often interactive. Both of these traits are beneficial for learning. The small amount of information on the screen of an App can also be less intimidating than pages of solid prose. 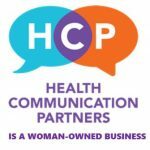 It goes without saying—but here I am saying it—that you’re checking these digital health tools are communicating reliable and up-to-date information. The AMA is working on it. And so am I. Bonus points for occasionally visiting a site or app together, side by side with a patient, and eliciting feedback! Listen to my podcast! Each episode is only about 10 minutes. That’s just enough time to get a good discussion going. What reading and writing activities can be delayed? What can patients fill out or read at home with a friend? What reading and writing activities can be eliminated altogether? For example, is a patient being asked to provide information that has been provided before, or that is available on his/her EMR? While we’re on the topic, how long has it been since you looked at the written materials you give to patients? Make sure they are accompanied by images, and broken up into small paragraphs. Everyone finds this more manageable and memorable. How you physically handle and talk about written materials matters. Handle a document with seriousness, and people will notice. So highlight or underline important passages, and talk about them or point to them. If you are too, contact me. Whether you’re a provider, administrator, educator, research, or developer. Because helping you with health literacy is what I do.